Faced with the worst drought in recorded history, officials in California are turning to all sorts of creative methods to curb the rising water shortage. 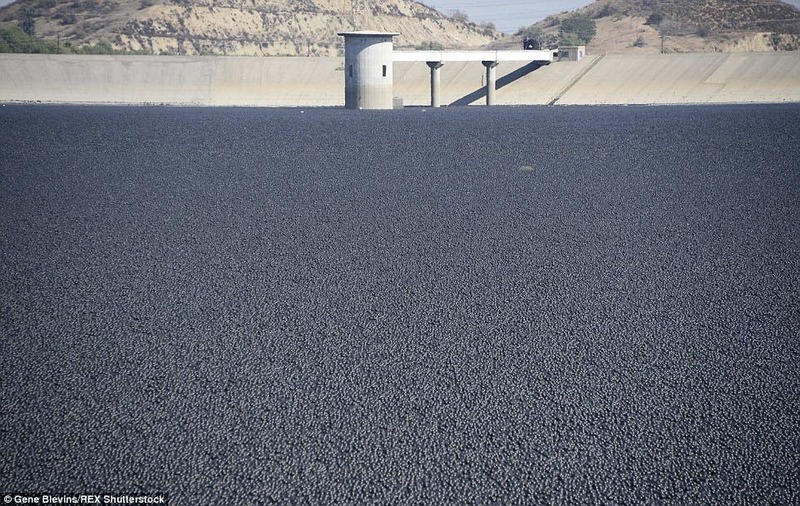 Most recently, 96 million black plastic balls were thrown in the LA Reservoir, which is filled with enough water to last the whole city of four million for weeks. Together, the millions of plastic balls act as a cover, shielding the water inside the reservoir from the sun’s rays, especially the UV frequencies. This way, less water becomes evaporated or degraded through chemical means – about 300 million gallons of it. The city’s Department of Water and Power had been looking for a cost effective method to cover the reservoir for some time. Alternatives included a bisecting dam or installing two floating covers, each estimated to cost at least a couple hundred million dollars. In contrast, the whole plastic ball initiative only costs $34.5 million and requires little to any maintenance. All 96 million balls cover roughly 90% of the water’s surface, sheltering it from both the sun’s rays and scorching temperatures. 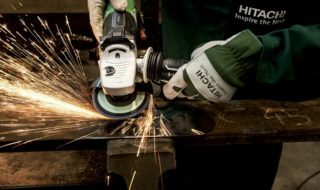 As for the balls themselves, these are made from a material that’s been tested and deemed safe. Some of you might be wondering why the balls are black, though. White is the best reflective surface – a lot better than black. For this particular purpose, however, black was thought to be the best choice because it’s stabler against UV. While the idea is very cool, it isn’t exactly new. 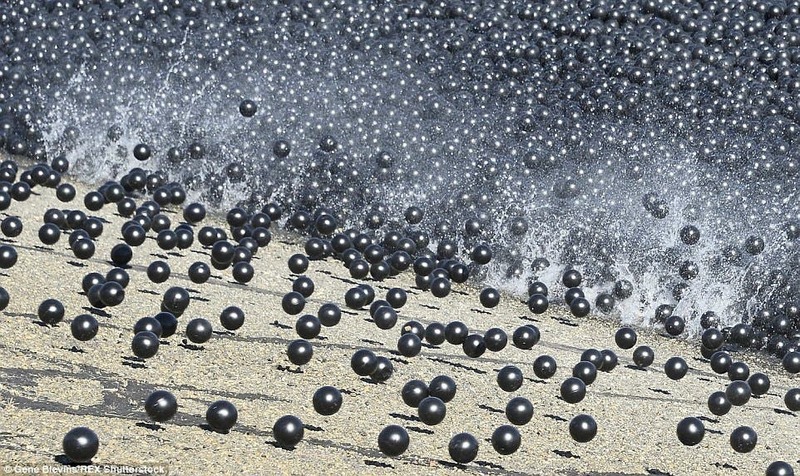 In 2008, the Ivanhoe Reservoir was filled with 3 million black plastic balls, again to shelter the water against sunlight but for a whole different reason. The sunshine causes the bromides and chlorine that are present in the water to react, forming a carcinogen called bromate.